Now I have three daughters, so scented products of any kind are right up their street. Yes I could pop into John Lewis and buy Helena a reed diffuser for her house in Aberdeen this Christmas. However I know she will love the fact that I’ve got her a diffuser from a local company. She’s been to the castle on the label, she used to be able to see the castle every day on her way to school so this diffuser has a bit of a ‘story’. And if a gift comes with a story then it makes it all the more memorable, I think. I’ve bought the Wild Fig & Guava diffuser and boy does it smell good! It’s a remarkable fusion of fresh wild green fig and exotic guava with a hint of spicy cardamom warmed with sandalwood and musk. This reed diffuser is ‘just right’ for me so I know Helena will love it. It’s not overpowering and freshens up the room space perfectly to the point where anyone who goes in will want to know what the scent is as it smells soooo good! 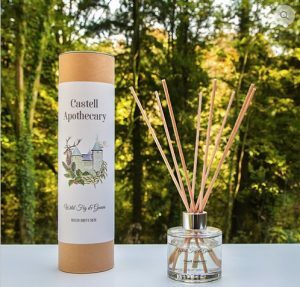 The site is east to use with lovely clear images and a small but perfect range of fab reed diffusers. Scented candles are coming soon too apparently. 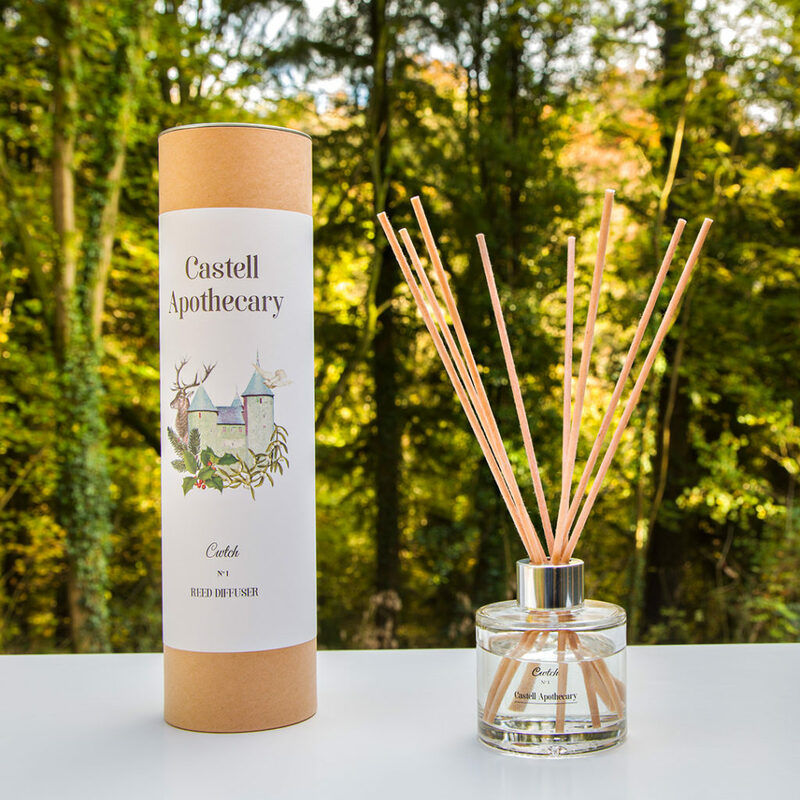 As An says all Castell Apothecary reed diffusers are “Passionately created in Wales with carefully chosen ingredients “.